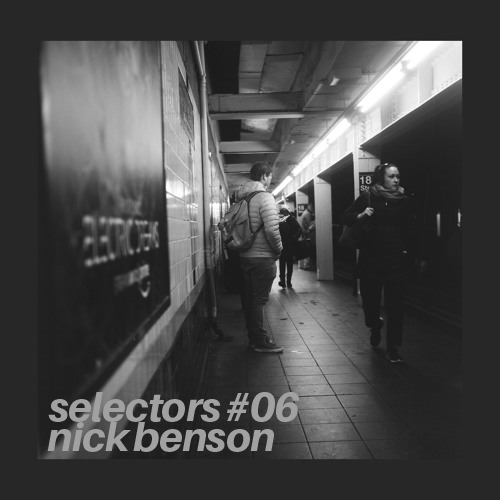 We’re excited to have Harlem-based 13th Hour Records honcho Nick Benson with us for number six in the selectors series. Nick is fresh from the release of 13th Hour Vol. 1, a four-track collection of nostalgic feel-good modern house productions premiering on Houseum, Dream Chimney and Sound Transitions. In this mix Nick showcases his diversity of taste, leading with sample-heavy jazz and orchestral house that melds with acid sensibilities and touches of last year’s nu-disco revival, all coated in the warmth of analogue fuzz. Follow 13th hour records at @13thhourrecs. Watch out for Nick in July when he comes to London for an instore at Lobster, a Balami Radio set and an appearance at our very own 45turns residency at the Hoxton Cabin.